Cannabis has been demonized for decades due to the potential psychoactive actions associated with the plant's recreational use. However, some ground-breaking research has found that it is also possible that phytocannabinoids (the active compounds found in cannabis) can be safe and beneficial when taken in moderation. That is, so long as there is a good balance of all the different types of phytocannabinoids included in the drug consumed. Furthermore, an emerging body of research has given rise to claims that these molecules also attack cancer cells. 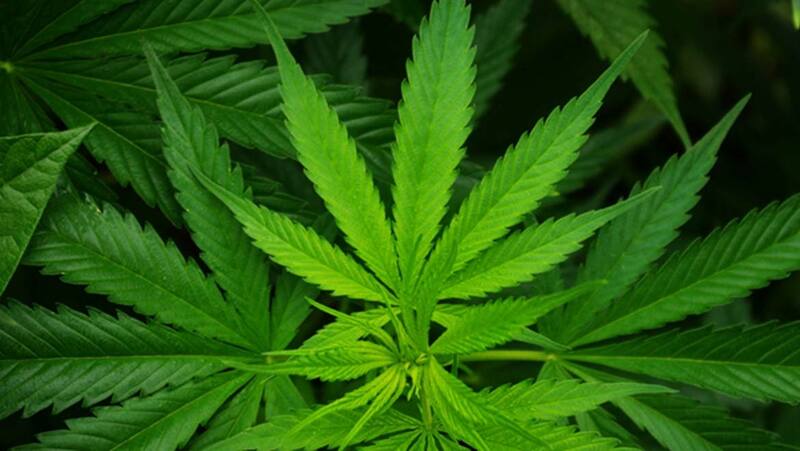 Conclusions have been made in conjunction with the assessment of cannabis as an adjunctive treatment for the negative effects of conventional cancer treatment. Coincidentally, cannabis' status as an illegal or antisocial substance is rapidly abating in some countries, most notably in the United States. Some proponents of the evolving legal cannabis industry are now promoting the drug as the next big thing in cancer treatment. However, the substance of these claims is not as strong as it needs to be, for this to happen. The best-known and studied phytocannabinoids are tetrahydrocannabinol (THC) and cannabidiol (CBD). THC is strongly associated with the negative side of cannabis use, for example, paranoia or temporary cognitive detriments. CBD, on the other hand, modulates these effects, which boost the potentially positive effects of the drug as a whole. Phytocannabinoids bind the CB1 and CB2 receptors in the body. They are classically associated with the nervous system. However, further research has shown that cannabinoid receptors also exist elsewhere, including the surfaces of cancer cells, and the host cells that interact with them. Studies have shown that THC and CBD have exerted negative effects on cancer cells. These two agents include the induction of programmed cell death and destruction (to which cancer cells are usually very resistant). Cannabinoids have also been associated with the ability to stop cancer cells from growing and dividing. Additionally, they may discourage metastasis and angiogenesis (tumors growing their own mini blood vessels to survive). This feature could be due to the roles that have been discovered for CB1 and CB2 in the regulation of epithelial cell form and function, cell survival, and cellular migration. 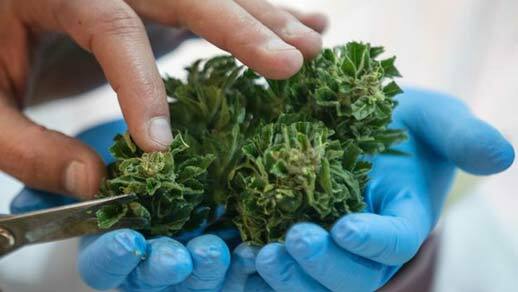 Is Cannabis Safe for Cancer Treatment? There are a number of arguments against the use of cannabinoids in cancer treatment. One is that the more recent clinical trials have tested them with other, established anti-cancer drugs such as vincristine and cytarabine. Therefore, it is difficult to separate their potential benefits from those of the more traditional therapies. Furthermore, cannabinoid intake is increasingly toxic to the liver, over time. This may reduce its safety and tolerability profile during clinical development. Also, THC concentrations that are disproportional to those of CBD may also be neurotoxic. On the other hand, a recent in vitro trial of both cannabinoids in leukemia reported that their combination reduced the minimum drug concentrations needed to affect survival in the cancer cells, compared to either cannabinoid alone. Finally, it is not as yet clear if whole-cannabis preparations should even be used in the cancer clinic. They deliver many more cannabinoid types besides THC and CBD (e.g., cannabivarin (CBV) or cannabigerol (CBG)), whose roles in cancer biology are not as well understood. 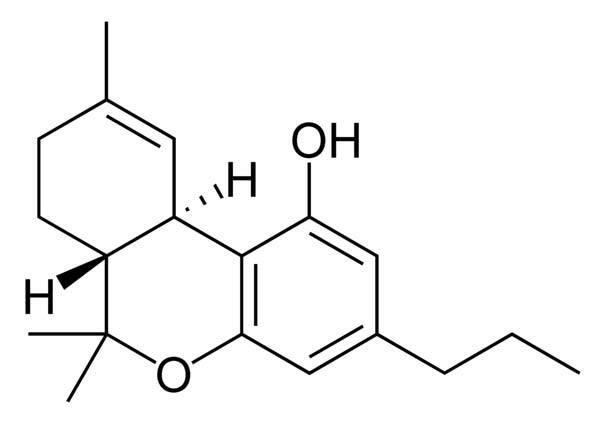 It should be noted that cannabinoid derivatives (e.g., Sativex) have been approved as adjunctive cancer treatments in some jurisdictions, and appear to be effective, safe and tolerable, in many cases. Therefore, there may be many promising interests in this emerging form of therapy, more than just for patients. For example, one of the latest news stories on a clinical trial reporting positive results associated with THC activity in prostate cancer cells was released by Cannabics Pharmaceuticals Inc. (CNBX). CNBX describes itself as a leader in personalized cancer therapy options, and also sponsored the early-stage clinical study as covered on its website. As the U.S. legal-use market is now worth more than 7 billion dollars, it follows that some companies may be trying to find new and potentially lucrative applications for this wonder-plant. It should also be noted that cannabis currently benefits many cancer patients as an anti-emetic and pain-management adjunct to their treatment. However, an increasing number of scientists now assert that the use of this popular drug also has medical applications as an actual anti-cancer medication. But, these claims have yet to see confirmation via large-scale clinical trials. In addition, there are still significant practical and legal obstacles to testing the drugs in labs, even in the United States. For example, it is still a Schedule 1 substance, which is holding back research in oncology centers. Therefore, cannabis is far from the stand-alone solution to severe illnesses or cancer, regardless of how some people may perceive it. B. Chakravarti, et al. (2014) Cannabinoids as therapeutic agents in cancer: current status and future implications. Oncotarget. 5:(15). pp.5852-5872. M. Bifulco, et al. (2007) Endocannabinoids as emerging suppressors of angiogenesis and tumor invasion (review). Oncol Rep. 17:(4). pp.813-816. Y. Sarne, et al. (2011) The dual neuroprotective-neurotoxic profile of cannabinoid drugs. Br J Pharmacol. 163:(7). pp.1391-1401. R. Ramer, et al. (2017) Cannabinoids as Anticancer Drugs. Adv Pharmacol. 80: pp.397-436. K. A. Scott, et al. (2017) Anticancer effects of phytocannabinoids used with chemotherapy in leukaemia cells can be improved by altering the sequence of their administration. Int J Oncol. 51:(1). pp.369-377.